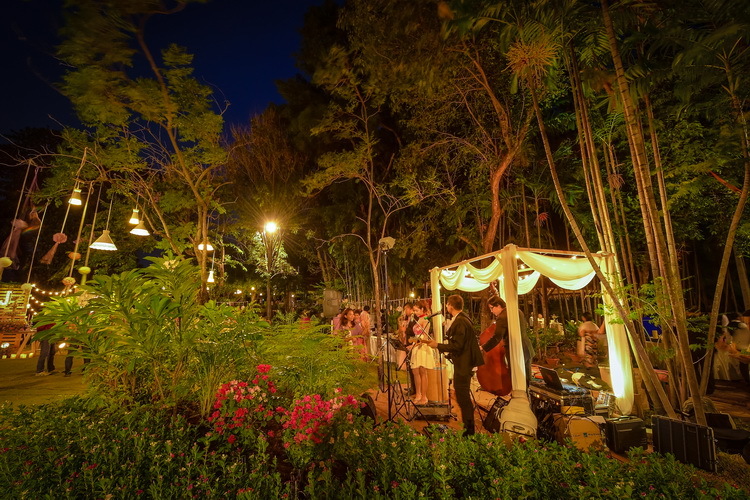 A once in a lifetime affair, wedding celebrations are a culmination of a loving relationship and the beginning of a new life together as married couples. 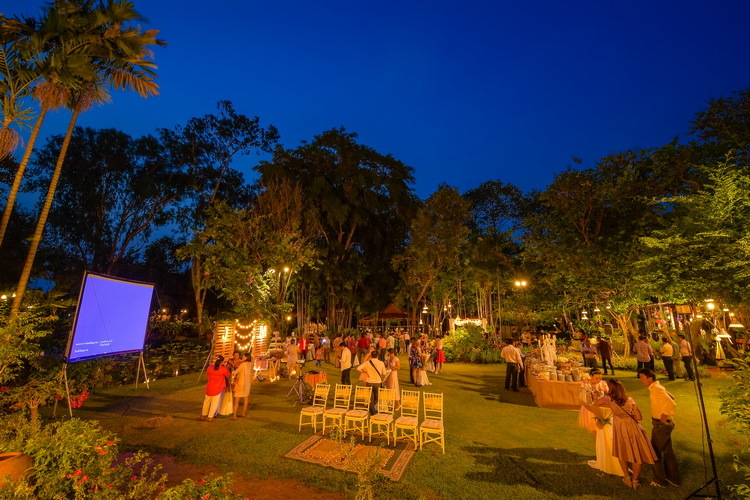 The gardens and Thai pavilions at Suan Thip become the ideal venue as we help you with every detail of the preparation for this memorable event. 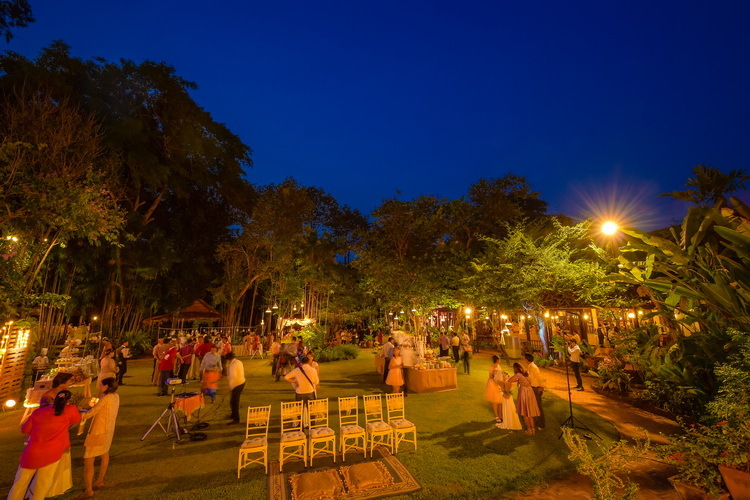 Plan an authentic Thai traditional wedding or cele- brate your marriage with cocktail receptions, afternoon tea or a buffet banquet for up to 350 guests. 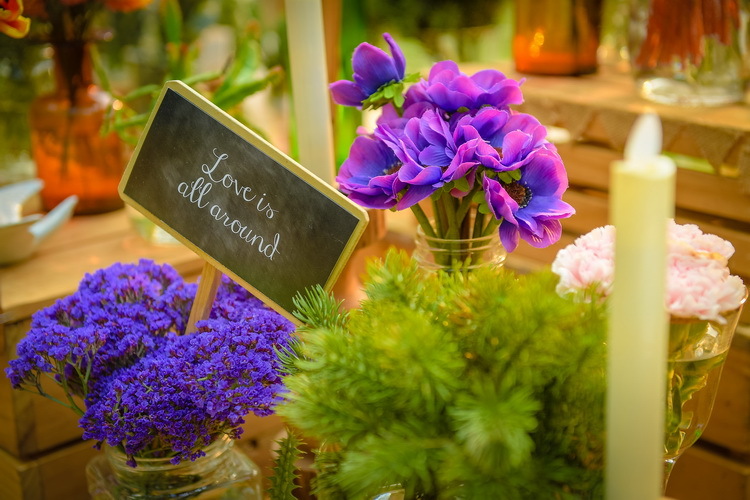 The choice is yours and we will ensure you the per- fect touch to this very special occasion from the ador- nments and flower arrangements, table setting, menu, music and entertainment. 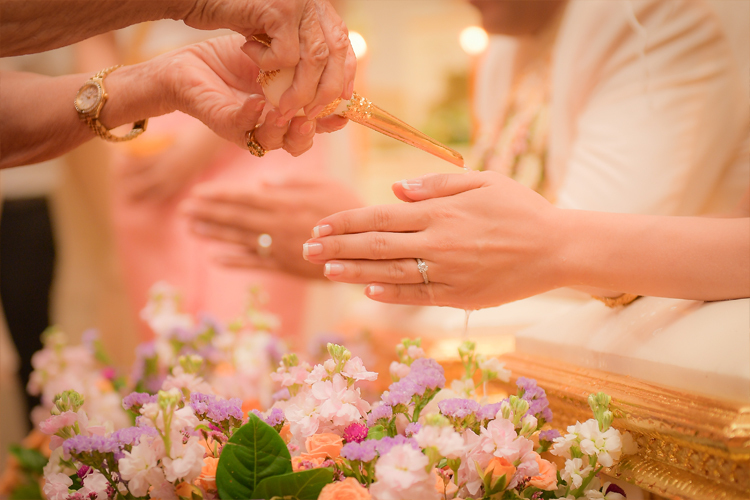 Making merit by performing a Buddhist religious ceremony is an important and auspicious ritual, deemed to be a vital element of every marriage ceremony. 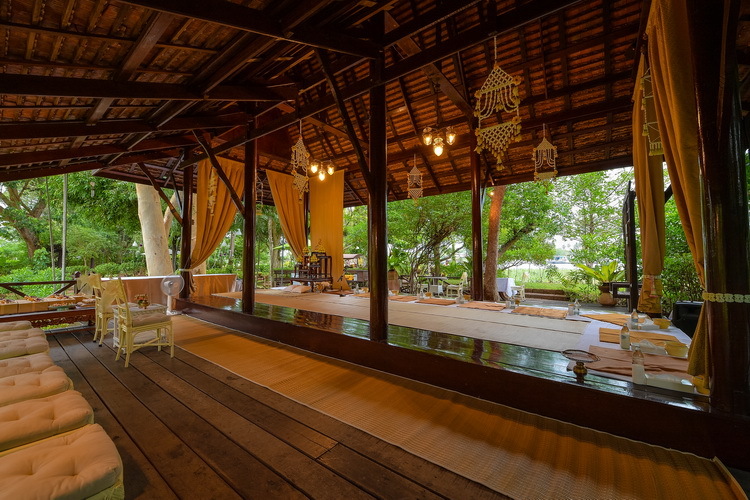 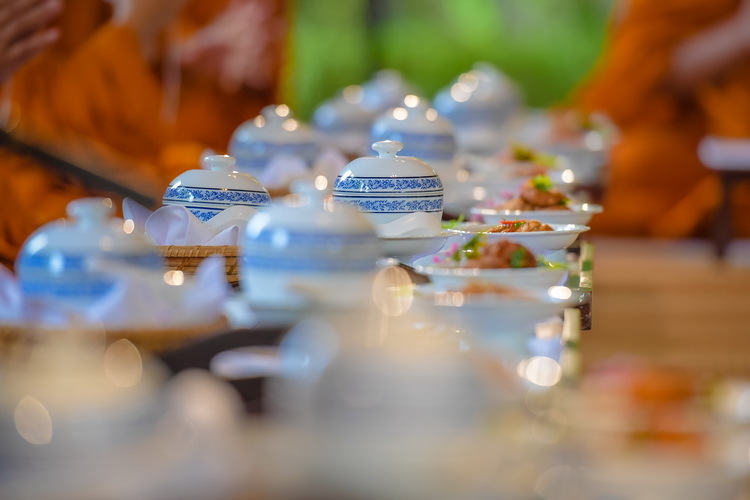 Suan Thip pays meticulous attention to detail and carefully prepares all offerings to be presented to the monks. 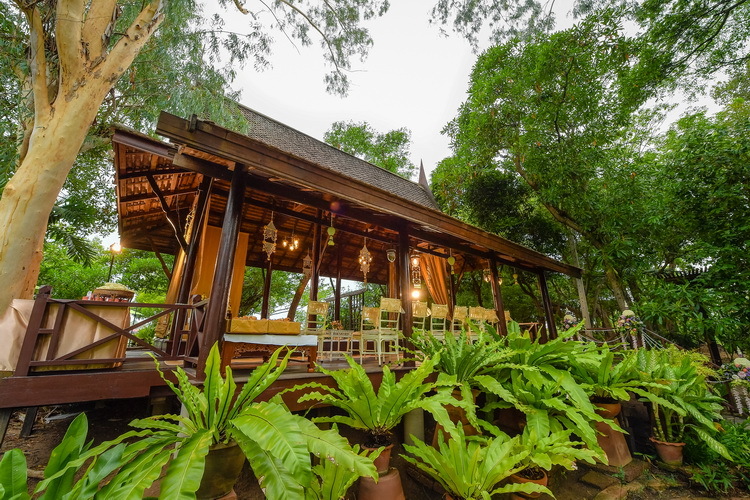 The Suan Thip Buddhist Religious Ceremony Package includes the invitation of nine Buddhist monks, complete with arrangements for a shuttle bus for their transportation. 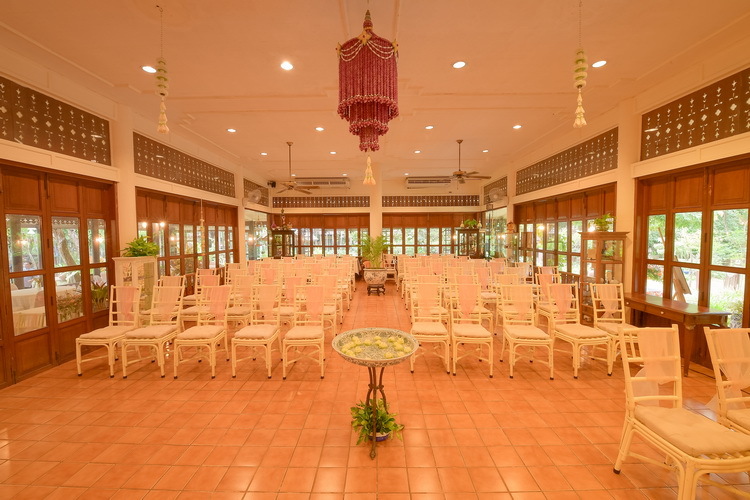 We arrange a venue for the ceremony, engage a master of ceremony, prepare sets of sacred offerings for the Buddha image and the monks, as well as sets of sandwiches, tea, coffee, herbal drinks for 50 guests. 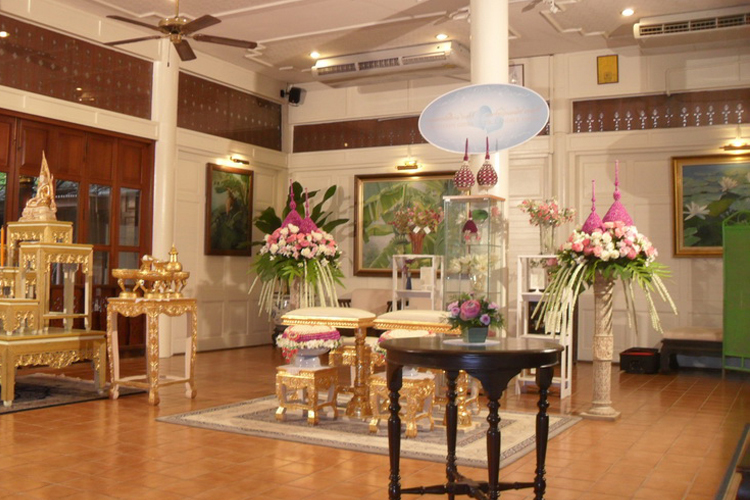 This package includes an engagement ceremony in a room decorated with flowers, altar tables for the Buddha images, a bench for the couple for the lustral water blessing ceremony, a set of auspicious head bands, lime powder, the couple's garlands, a floral-decorated receptacle into which the lustral water drains and pedestal tray, foam signage, 50 party-favor garlands and a master of ceremony. 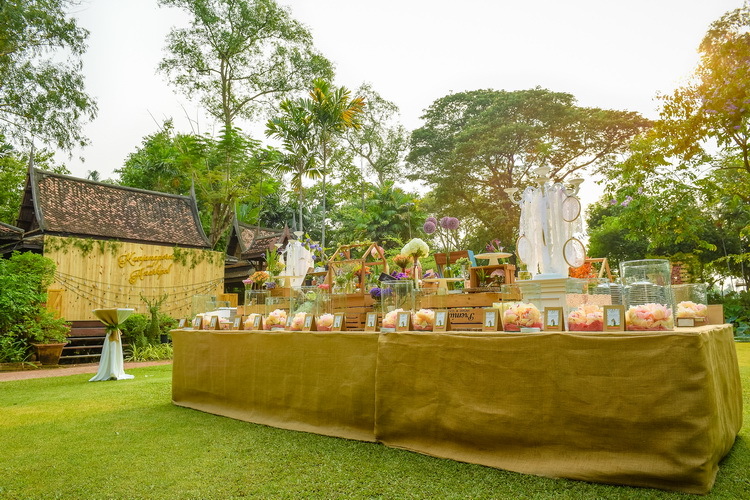 The package also includes soft drinks for 50 guests. 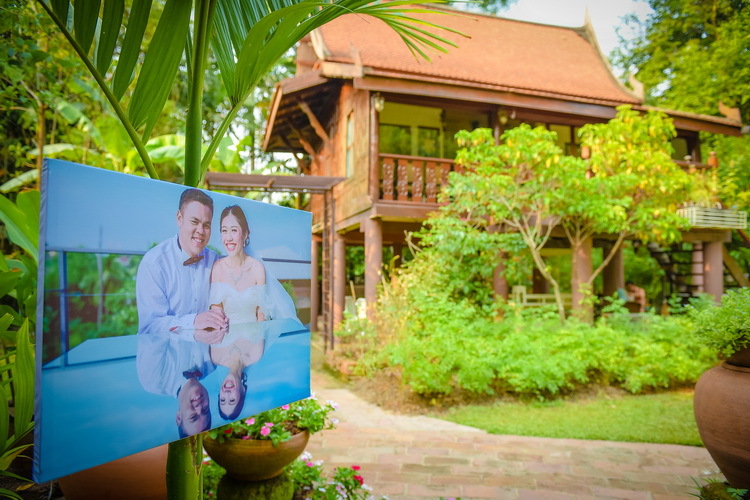 On what is to be one of the most important days in your life, Suan Thip can organize a reception for 50-350 guests in either a cocktail or buffet style. 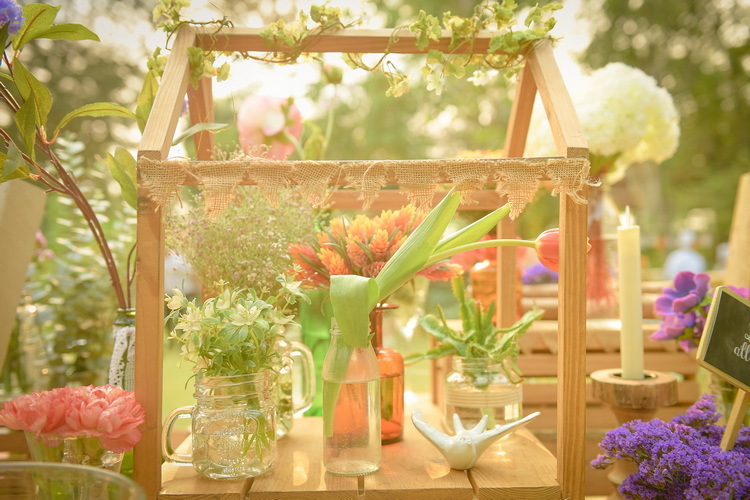 Our Wedding Package include food stalls, finger foods, drinks and mixers, as well as the front-of-house flower-decorated trellis, the couple's garlands, the hosts brooches, foam sign, guest books, and many others.